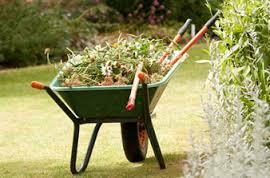 Are you looking for Green solutions to your yard waste? Avoid the dumps. At Select Materials we will accept all of your yard waste drop offs. Leaf & leaves, brush, green waste, branches, sticks, pallets, logs, trees, grubbings, and other natural wastes will all be accepted. The waste will then be recycled by composting it over a number of months into organic renewable soil. Our service is free your first time to try when you purchase materials during the same trip and then $20 per load after that. The only thing we require is that there is no trash or plastics in the waste. Colorado, Denver, Boulder, Longmont, Lyons, Loveland, Erie, Lafayette, Firestone, Hudson, Fort Collins, Broomfield, Westminster, Thornton, Aurora, Greeley, Golden, and the entire front range and all rocky mountain towns. We can deliver our Colorado materials out of state. Call us to get a special quote. Sand, Topsoil, Organic Compost, Stone, Rock, Equestrian Arena Footing Mix, Mulch, Cedar Mulch, ET Wicking Septic System Filter Sand, Raw Back Fill, Breeze, Crushed Fines, Washed Concrete Sand, Gravel, Amended Potting Soil, Road Base, Amended Topsoil, River Rock, Squeegee, Pea Gravel, Shale, Recycled Asphalt, Driveway Gravel, Road Chips, Leach Rock, ect.